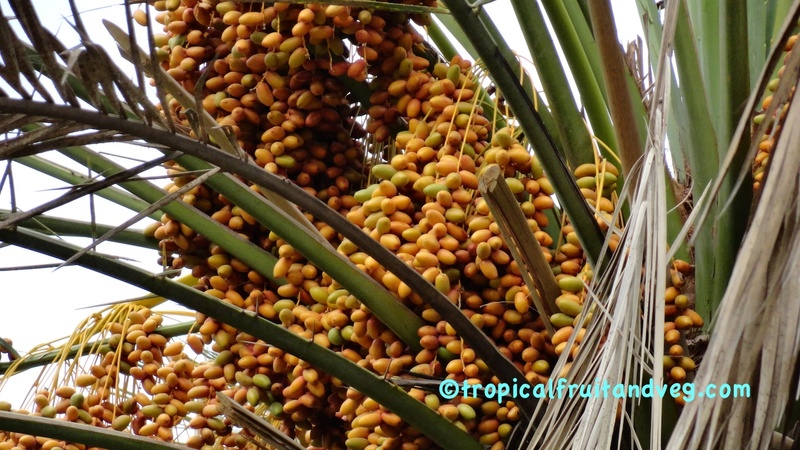 The date is an erect palm that can grow to 30 m in height. The feather like leaves can be up to 6 m long. Each leaf emerges from a sheath that splits into a network of fibres remaining at the leaf base. Small fragrant flowers (the female whitish, the male waxy and cream coloured), are borne on a branched spadix divided into 25 to 150 strands 30-75 cm long on female plants, only 15-22 cm long on male plants. One large inflorescence may embrace 6,000 to 10,000 flowers. As the fruits develop, the stalk holding the cluster may elongate 1.8 m while it bends over because of the weight. 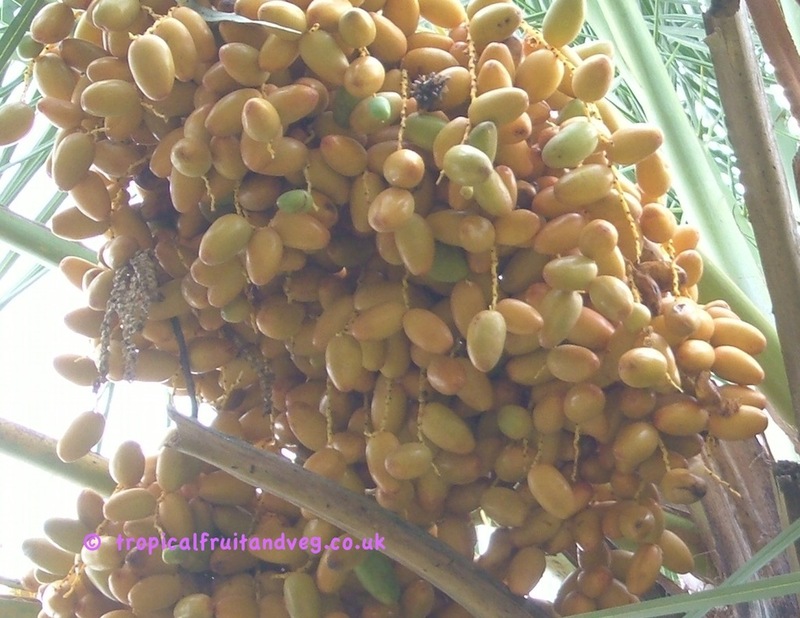 The fruit is oblong 2 - 7 cm long, dark-brown or reddish when ripe with thin skin and thick, sweet flesh (astringent until fully ripe) and a single, cylindrical, slender, very hard stone grooved down one side.Date palms are dioecious requiring male trees for pollinating the female trees.There are over 1500 cultivars of the edible date, the most common being Zahdi and Sayer. Dates are a good source of dietary fibre which can help constipation and aid good bowel movement. They are helpful to anaemic sufferers due to their high iron content. 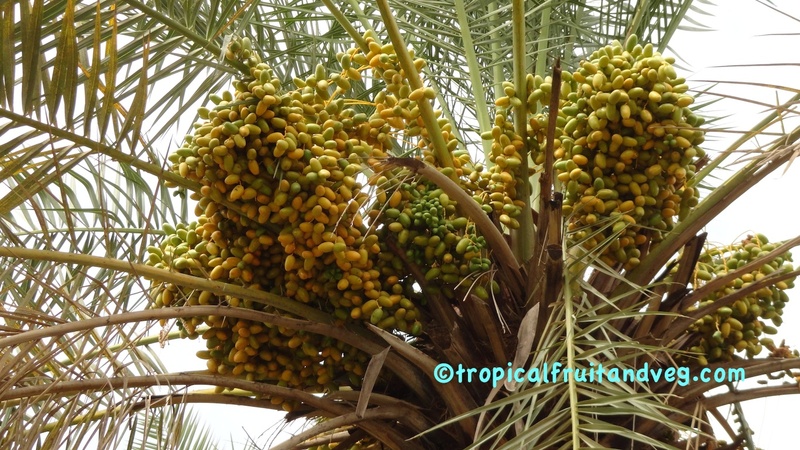 The date palm must have full sun and a warm climate. 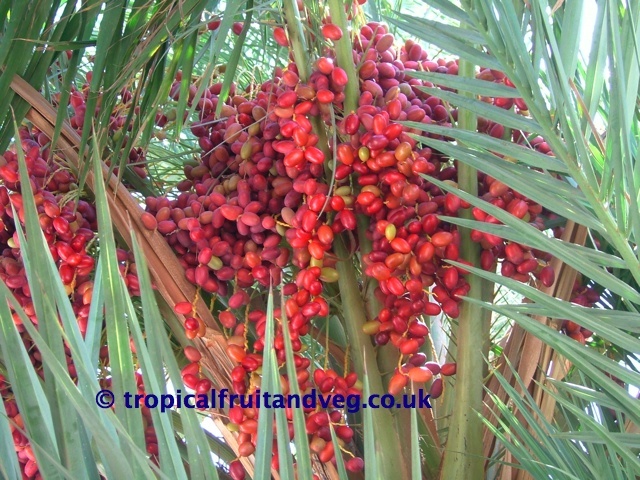 When the palm is dormant, it can stand temperatures down to -6�C, but when in flower or fruit the temperature must be above 18�C. Once fully grown, the date palm can withstand long periods of drought. The date thrives in sand, sandy loam, clay and other heavy soils. It needs good drainage and aeration. It is remarkably tolerant of alkali. 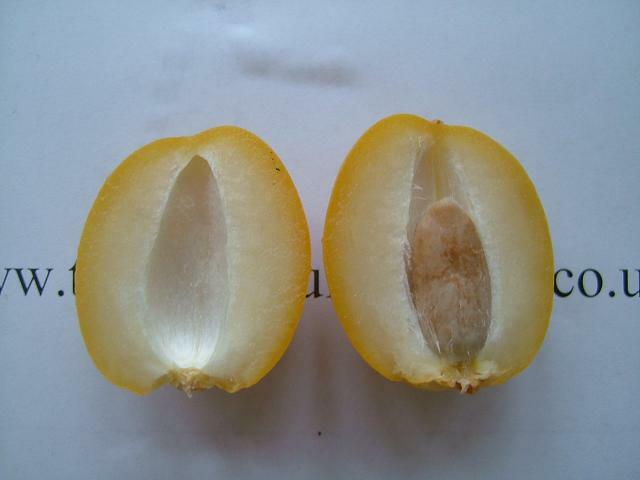 A moderate degree of salinity is not harmful but excessive salt will stunt growth and lower the quality of the fruit. Date palms grow readily from seed. 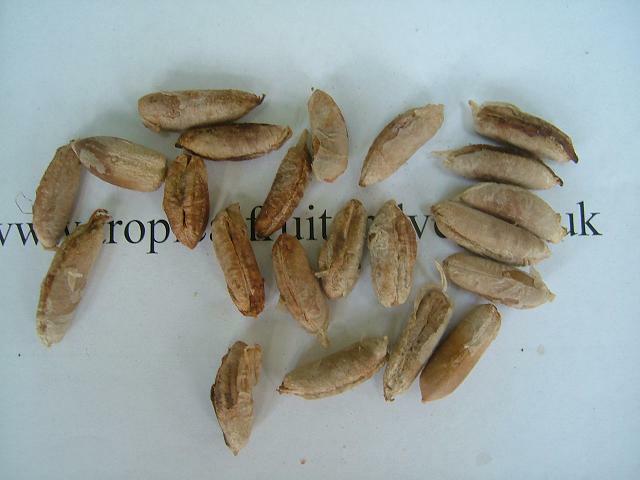 They should be kept warm and constantly wet for germination. 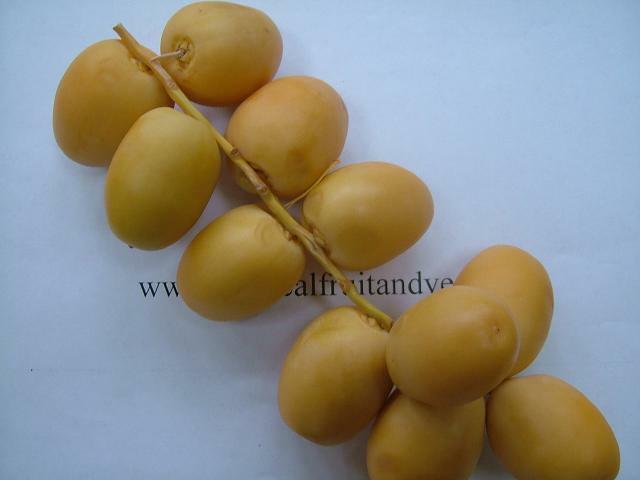 Dates grown from seeds can take 6 to 10 years to fruit. The best and common means of propagation is by transplanting the suckers.